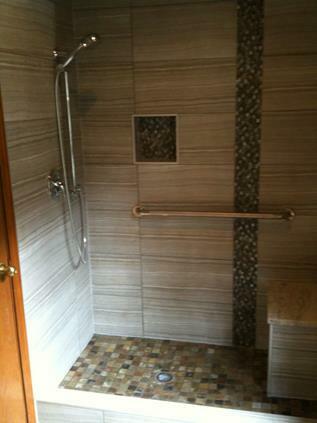 Thinking About Moving in a few years and remodeling the bathroom? Julie, my family will likely be moving in about three years from our home. We have done nice updating throughout the house, but our master bathroom is woefully in need of some updating as it was last updated in the early 80’s. Does it make sense to remodel? While you will likely not recoup everything you put into your bathroom remodel, it may indeed be worth the time and effort. Furthermore, if your home can stand out from the competition when it does come time to sell, you may benefit from a shorter time on the market and higher sale price. Of course, until then, you can enjoy your bathroom. According to Remodeling Online, their Cost Vs. Value Report, if a bathroom were remodeled and the house sold within one year, an average rate of return was 84.9%. The average spent was $12,918 with $10,970 recouped. However, if the floor plan of your bathroom doesn’t need attention and your cabinets are in good shape, you may be able to get away with a much less-intensive remodel. Simply re-facing the cabinets, adding new countertops and hardware, and updating fixtures such as the sinks, toilet, shower and tub can save a lot of money. I see many home owners updating their bathrooms at a fraction of the cost of a full remodel by doing some basics as stated above. 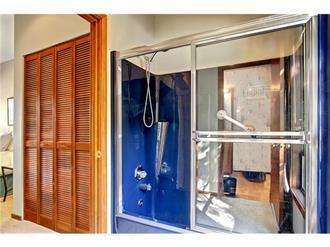 With master bedroom bathrooms, the trend I’m seeing more of is replacing a tub with a walk-in shower. It’s more practical and more suitable to the growing population of baby boomers who with age may be using walkers, wheelchairs or just need a large shower that’s easy to walk in and out of. Creating a flush floor is also become fashionable and seen as very practical because it can be very helpful for those using walkers and wheelchairs and is a great look. 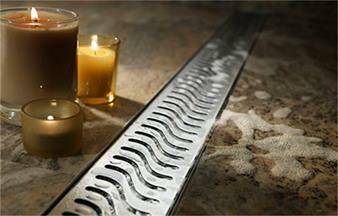 The key to preventing water spilling out onto the bathroom floor is installing a drain, such as in the picture above, between the shower and bathroom floor. Below is a before and after picture of a bathroom tub replacement with a walk-in shower (that doesn’t include the flush floor) that a client recently shared with me. The original blue tub was installed in the late 1970’s.